Ships are not just a mode of transportation across the seas, they also embody the craftsmanship of the builder. Most of the time they represent the country’s honor and goods, but when we see a ship, you can’t help but stare at it with all its glory. The bigger the ship, the better. However whenever we hear the word ‘big ship’, the first thing people are reminded of is the Titanic. Although on its first sail, a tragedy has happened, there are still big ships around the world far more huge than the Titanic and still afloat. 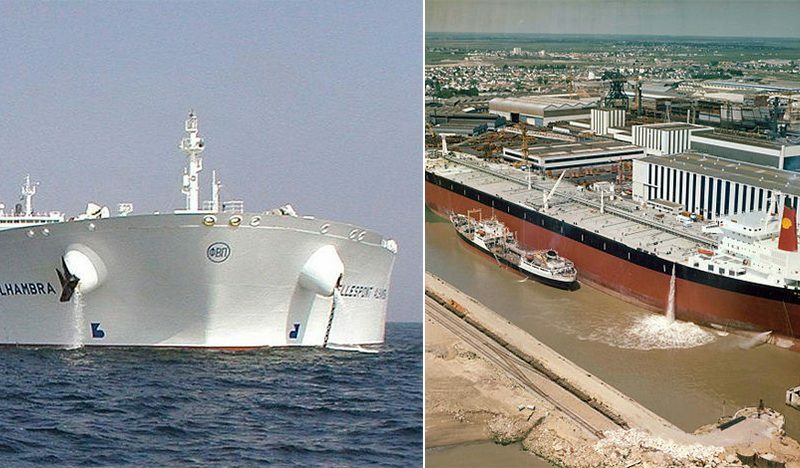 To prove they exist, here are 10 of the biggest ships in the world. 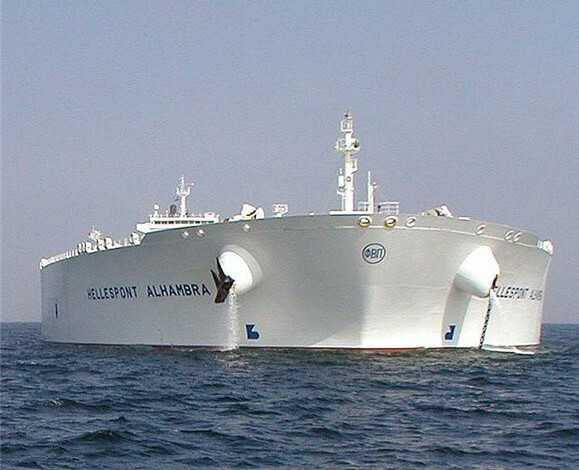 An Oil tanker with the length of 1,334 feet. It has been around for 35 years of service and deadweight tonnage capacity of 516,000 tons. It used to have a considerable reputation and was known across the seas however in 2002 it was identified as a scrap metal in Pakistan. 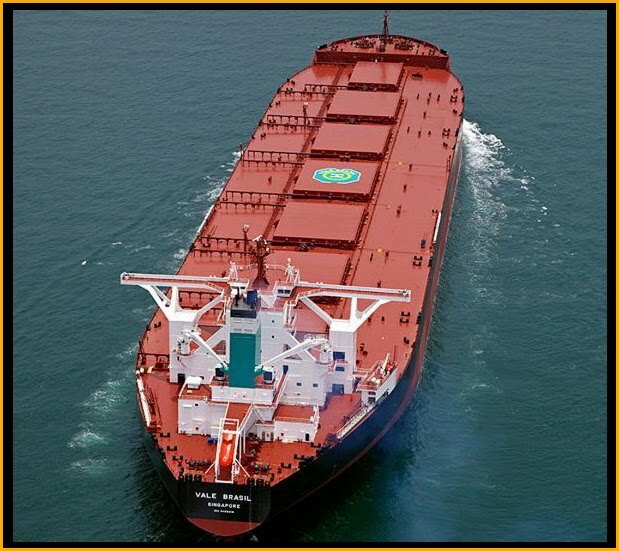 This huge 1,188 feet ore carrier ship has certainly made its rounds between Brazil and Asia. It has a maximum speed of 14.9 knots and is red in color which is very eye-catching when you look at it floating in the midst of the blue ocean. It has a deadweight tonnage of 400,000 owned by Vale – Brazillian mining company. It carries Iron Ore across the sea and is built by Daewoo Shipbuilding & Marine Engineering. 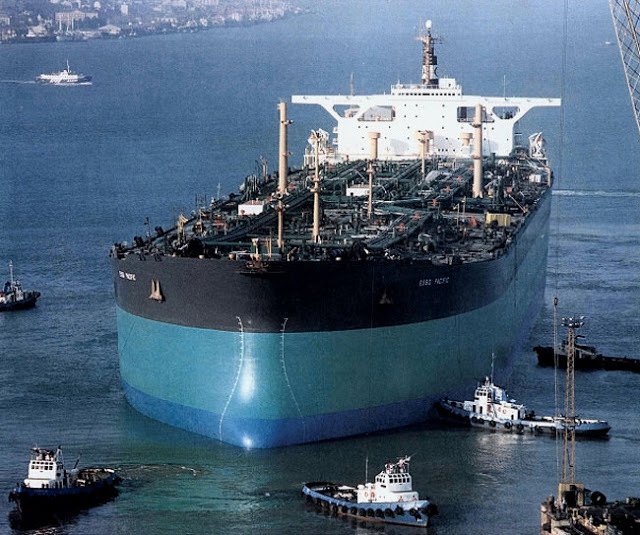 Having a length of 1,243 feet and a deadweight tonnage capacity of 484,000 tons, this massive oil tanker was the biggest in the year 1973 when it first had its journey. What’s surprising is that it had a speed of 16 to 17 knots and operated for 13 years before it ended. A ULCC Super tanker built by Sumitomo Heavy Industries, Ltd in 1979. 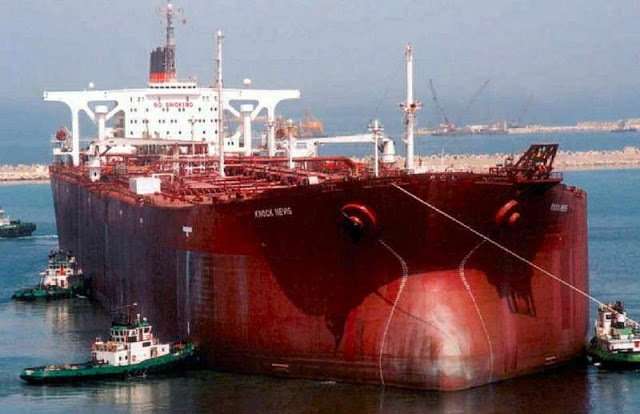 Seawise Giant holds the title of biggest ship ever built and biggest oil tanker type of ship. It has a deadweight tonnage of 564,700 tons, a speed of 16 knots and 1,504 feet in length. It has served for 30 years and was named Mont for its final voyage then docked at the Alang Gujarat, India for dismantlement. Reported as the 2nd biggest ship, built by Chantiers de l’Atlantique at Saint-Nazaire for Compagnie Nationale de Navigation in 1977. The ship was named after a French Politician which also happens to own Elf Aquitaine oil industry. The ship has a deadweight tonnage of 555,000 tons, traveling at 16 knots and 1,360 feet. 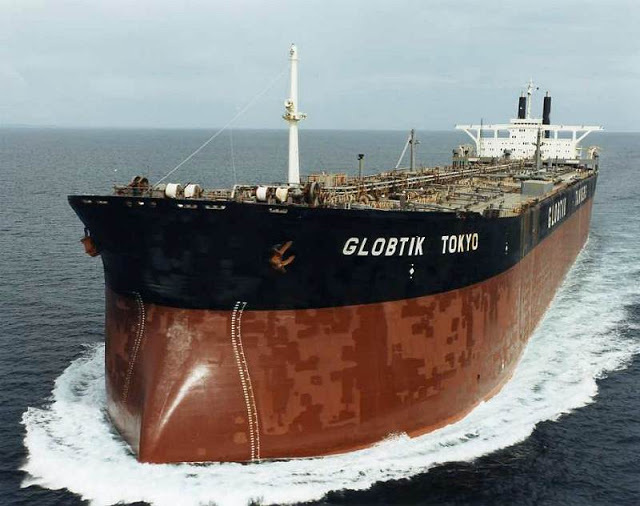 However due to its huge size, Pierre Guillaumat can only enter specific ports around the world, it can only park at offshore oil rigs and could not pass through Panama or Suez Canals making the ship unprofitable which led to its soon dismantlement. In 1983 it was bought by Hyundai Corporation and was renamed it Ulsan Master and traveled to South Korea for demolition. 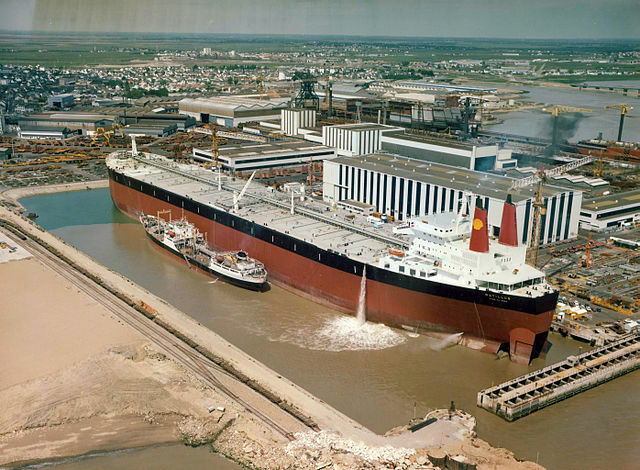 A supertanker having a deadweight tonnage of 554,000 built by Chantiers de l’Atlantique at Saint-Nazaire for a French branch of Shell Oil in 1976. It can also run 16 to 17 knots and is 1,359 feet in length. It was scrapped in Taiwan in 1985 because of financial reasons and very less demand. 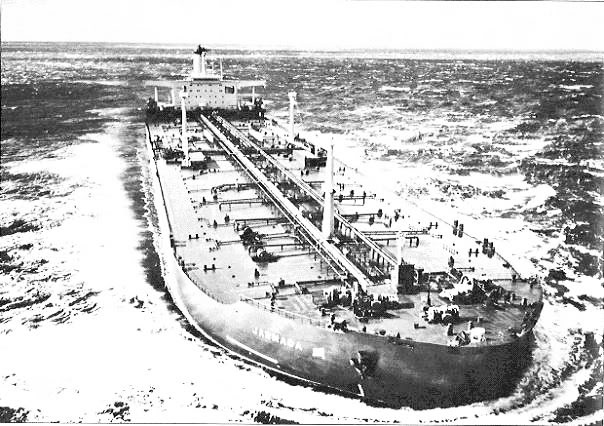 Another supertanker built in 1979 as a part of the Batillus class supertankers namely; Batillus, Bellamya, Pierre Guillaumat and the fourth being Prairial. It was also built by Chantiers de l’Atlantique of Saint-Nazaire for Compagnie Nationale de Navigation. It had served for more than ten years under different names; Sea Brilliance (1985), Hellas Fos (1986), and Sea Giant (1997). Having a deadweight tonnage of 555,000 tons, a speed of 16 knots and length of 1,359 feet it was still a ship known as Prairial despite the many name changes. 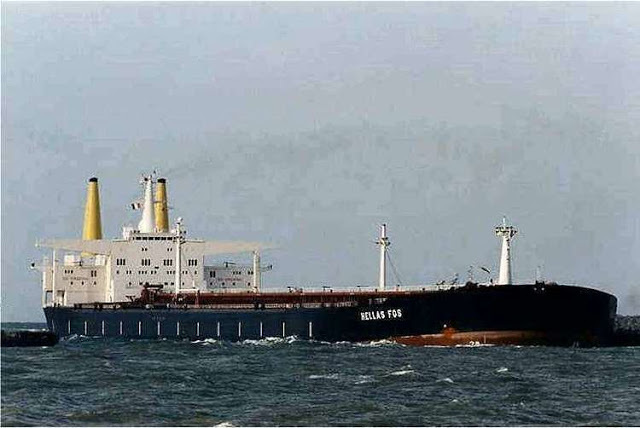 Having a deadweight tonnage of 380,000, length of 1,225 feet and speed of 16 knots, the Jarmada was built to carry oil since 1975 and ended its service in 2008. Its only use now is a storage barge. In this list, only the Emma Maersk is the ship that is still in service. Having a deadweight tonnage of 159,000, a speed of 26 knots, and is 1,305 feet. 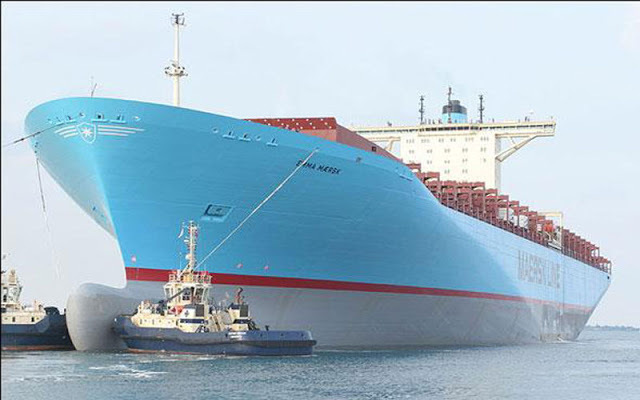 In the E class of ships, the Emma Maersk is first container-type of ships owned by A. P. Moller-Maersk Group. It is built to carry different goods from place to place. Built to transfer crude oil, it has a deadweight tonnage of 440,000, having a speed of 16 to 18 knots and is 1,246 in length. It is an oil tanker that served for 9 years. These ships are all magnificent even though some are very strict. 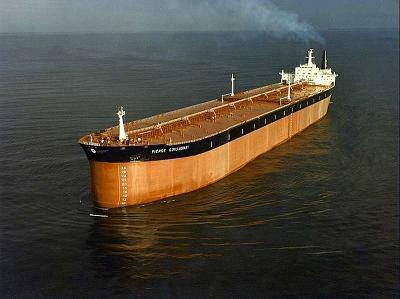 It is a wonder how these huge ships were able to run smoothly despite its size.